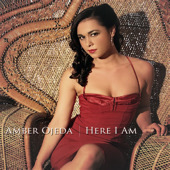 "Amber Ojeda is a California–based recording artist that fuses Pop, R&B, Jazz and electronic music. In 2010 her debut album Here I Am was self released and quickly picked up for international distribution through Sweet Soul Records. Following her debut, Amber landed a coveted spot on Bravo’s emerging singer-songwriter competition series “Platinum Hit.” Biting on the heels of her recent TV appearance, Ojeda released her sophomore album, Space.Bar.Love., which has received nearly three dozen placements in feature films and high-rated TV shows on networks such as ABC, VH1, MTV, Bravo, The CW, Velocity, Oxygen & The Style Network. As a writer, Amber continues to work with some of the industry’s top musicians and producers including Davy Nathan (Christina Aguilera), Michael Feingold (Jay-Z, Joe Jonas), David Michael Ott (Jussie Smollett) & Kovas (Justin Timberlake, Chris Brown). With an infinite bounty of creative potential in her heart, Amber is also a sought after songwriter frequently called upon to write for other artists and commissioned to create vocal arrangements and lyrics for various projects. Amber is set to release her third studio album, Geminis & Virgins, later this summer. 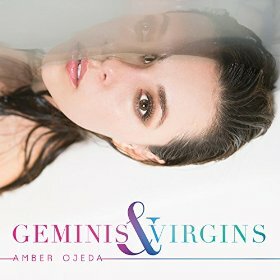 Enjoy our interview with Amber to discuss her musical upbringing, current projects, and her upcoming album, "Geminis & Virgins" available for pre-order before it’s release on August 30th!" "Amber Ojeda is vintage with a modern flare. Known best for her sultry and subtle vibrato, it's her ability to lace together jazz, new soul, pop and hip hop that helped make her mark on the digital world of music. Equal parts talent and ambition, Ojeda has managed to secure music placements on networks such as ABC, Bravo, Oxygen and The Style Network. 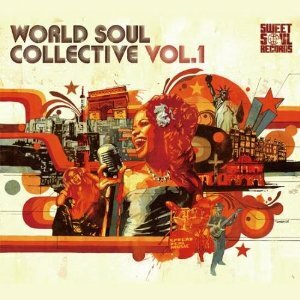 In 2010 a distribution deal was acquired with Sweet Soul Records releasing her debut Album 'Here I Am' in Japan. In 2011 she landed a coveted spot on Bravo's emerging singer songwriter competition series "Platinum Hit". 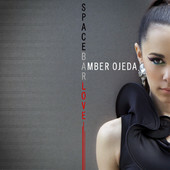 Her sophomore album "Space.Bar.Love." was released in 2012 and has been highlighted on numerous music blogs among the likes of Getty Images and This is Real Music." "The San Diego skyline has a new spotlight lit and it’s directed at upcoming, vibrant and soulful siren Amber Ojeda. Not a fan of the hip-hop sound, I have found myself attracted to this jazz/soul feel with the accents of hip hop attitudes melded in. Amber is heavy with a velvet purr, which adds a romantic signature to her sound." “Music allows me to express myself, while acting allows me to get away from myself,” says Amber Ojeda... - San Diego Reader.